Moving with kids can be stressful. Take a minute to read through this tips to help make your moving day easier! You’re probably going to have help lifting couches and moving boxes. Don’t forget to get help with your kids too. Depending on the needs and ages of your children, consider appointing a friend to be solely in charge of entertaining your children. They could even take them out for a fun day far from the chaos of the house! Pack a weekend bag for your kids so that everything they need in those first few crazy days in the new house is within an arm’s reach. Plan their schedule for the day and plan their first night in the house. If you have a plan in place, moving day is going to go much easier! Talk to your kids about how the day will go, what their schedule will be like, and where they’ll be sleeping that night (probably in the new house!) If they are emotionally attached to your old house or neighborhood, make sure to have a conversation with them about the change. This can help prepare them for the transition and help avoid any emotional outbursts on moving day. 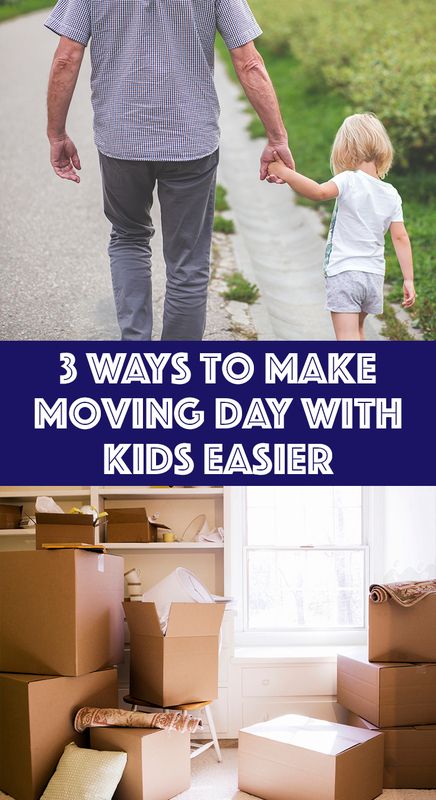 Keep these tips in mind to make moving day easier with kids! These simple few steps can help tremendously on moving day!